Check out the New Content Summary guide for a breakdown of the various features, changes and adjustments added to Pokemon Ultra Sun and Ultra Moon. 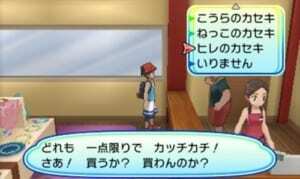 There are several contents introduced in Ultra Sun and Ultra Moon which consist of New Scenarios, Pokemon Forms, Ultra Beasts, Z-Moves and Z-Crystals, and Maps and Side-events. There are slight dramatic changes to the main story in Ultra Sun and Ultra Moon. The story revolves around the Legendary Necrozma which was barely tackled during the events of Sun and Moon. Due to its intervention, a path to the world devoid of light appears. Trainers get to experience the “Ultra Wormhole Adventure” which makes use of the 3DS’s gyro sensor. To do this, they must borrow a mount from the Ultra Recon Squad members of their game. Ultra Sun and Ultra Moon added a new set of characters which identify themselves as the Ultra Recon Squad, a group that descended from the the world devoid of light. The characters that shape the story will vary depending on the version played. “Dulse” and “Zossie” play a huge role in this version’s story. “Soliera” and “Phyco” play a huge role in this version’s story. Click here to see a detailed article on the Ultra Recon Squad. Necrozma and Lycanroc gained new forms in these games. Necrozma gained three new forms, in Ultra Sun it fuses with Solgaleo to produce Dusk Mane Necrozma, while in Ultra Moon it fuses with Lunala to create Dawn Wings Necrozma. By giving Necrozma the “Ultra Necrozium Z,” it can activate Ultra Necrozma. A new Lycanroc which borrows its appearance from both Midnight and Midday forms appear in Ultra Sun and Ultra Moon. To obtain this form, trainers must receive the event Rockruff in their games by using Mystery Gift. Click here to see a detailed guide on How to obtain Dusk Form Lycanroc. There are four new Ultra Beasts that appear in these games. Blacephalon aka UB: BURST appears exclusive to Ultra Sun, while Stakataka aka UB: ASSEMBLY appears exclusive to Ultra Moon. Poipole aka UB: ADHESIVE is common to both, and so is its evolution Naganadel. The Ultra Beasts from past games are retained on these games which include the Ultra Sun exclusive Buzzwole and Kartana, and the Ultra Moon exclusive Pheromosa and Celesteela. Click here to see a guide on how to skip Z-move animations. The text for Z-moves during their animation are more vibrant than Sun and Moon’s. Apart from the part-time jobs that existed in Sun and Moon, you can participate in more side events. 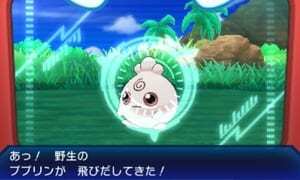 Ultra Sun and Ultra Moon retained the Island Challenges and Grand Trials that appeared in the previous versions, however some slight adjustments were added such as new objectives, Totem Pokemon and the SOS called Pokemon that they summon. Notable improvements include the addition of Trial Captain Mina’s Island Challenge. Zygarde Cells no longer exist in Ultra Sun and Ultra Moon, instead the Totem Stickers have replaced this mechanic. Previously on Sun and Moon, Rotom Dex interacted with the trainer after accomplishing certain feats. In Ultra Sun and Moon, whenever Rotom finds a new Pokemon that is not yet registered on your dex, it will notify you on the screen. You can further develop your bond with the Rotom Dex by answering its questions after achieving certain milestones. By giving it attention, Rotom Dex’s eyes will start glowing and can reward you with Roto Loto powers. The expansion of the Rotom Dex introduces new Pokemon native to Alola. Click here to see a detailed guide on the new Pokemon. Pokemon Trainer Gladion recruits Zorua on his team, while Pokemon Trainer Dexio or Sina adds Smoochum to their team. The Totem Pokemon during Lana’s Trial is now Araquanid, while in Kiawe’s Trial you will face the Totem Alolan Marowak. Pokemon receive new moves through breeding, and tutoring. When you visit Olivia’s Shop at Konikoni City, you can purchase new fossils in addition to the old ones available from Sun and Moon.